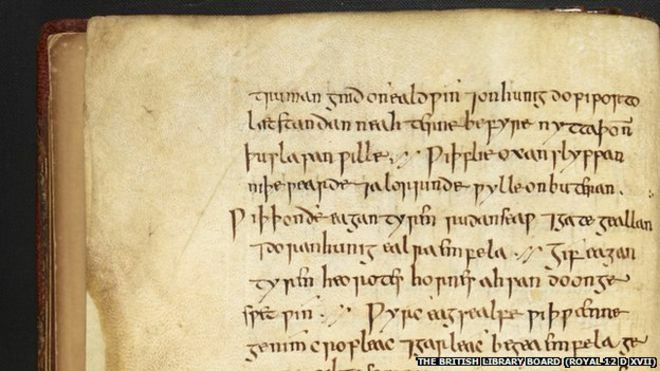 A one-thousand-year-old Anglo-Saxon remedy for eye infections which originates from a manuscript in the British Library has been found to kill the modern-day superbug MRSA in an unusual research collaboration at The University of Nottingham. Dr. Christina Lee, an Anglo-Saxon expert from the School of English at Nottingham has enlisted the help of microbiologists from the University’s Centre for Biomolecular Sciences to recreate a 10th-century potion for eye infections from Bald’s Leechbook (image), an Old English leather-bound volume in the British Library, to see if it really works as an antibacterial remedy. The Leechbook is widely thought of as one of the earliest known medical textbooks and contains Anglo-Saxon medical advice and recipes for medicines, salves, and treatments. Early results on the “potion,” tested in vitro at Nottingham and backed up by mouse model tests at a university in the United States, are, in the words of the U.S, collaborator, “astonishing.” The solution has had remarkable effects on methicillin-resistant Staphylococcus aureus (MRSA) which is one of the most antibiotic-resistant microbes costing modern health services billions. The team now has good, replicated data showing that Bald’s eye salve kills up to 90% of MRSA bacteria in “in vivo” wound biopsies from mouse models. They believe the bactericidal effect of the recipe is not due to a single ingredient but the combination used and brewing methods/container material used. Further research is planned to investigate how and why this works. The testing of the ancient remedy was the idea of Dr. Christina Lee, Associate Professor in Viking Studies and member of the University’s Institute for Medieval Research. Dr Lee translated the recipe from a transcript of the original Old English manuscript in the British Library. The saying "what doesn't kill you makes you stronger" may not hold up to scientific scrutiny. Baboons born in times of famine are more vulnerable to food shortages later in life, a new study shows. The findings are important because they help explain why people who are malnourished in early childhood often experience poor health as adults. 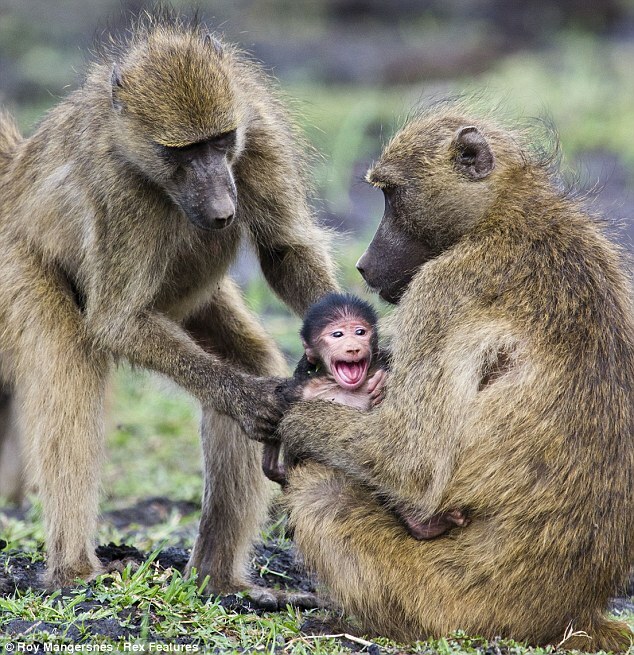 After the plains of southern Kenya experienced a severe drought in 2009 that took a terrible toll on wildlife, researchers at Duke and Princeton investigated how 50 wild baboons coped with the drought, and whether the conditions they faced in infancy played a role. The semi-arid savanna of southern Kenya usually receives an average of 14 inches of rain a year -- akin to the average in much of Nebraska or Kansas. But in 2009, the savanna rain total fell to five inches, less than the Mojave Desert receives. The year before wasn't much better -- rainfall in 2008 dropped to half of normal levels. The grasslands the animals depend on for food dried up and watering holes disappeared, leaving many animals starving or weak from hunger. "We lost 98 percent of the wildebeest population, 75 percent of the zebra population, and 30 percent of the elephant population," said co-author Dr. Susan Alberts, a Biology Professor at Duke. "It was impossible to go anywhere without smelling death." Most baboons made it, but the drought left them underweight and many females stopped ovulating. In a forthcoming paper in the journal American Naturalist (abstract posted online on March 30, 2015), the researchers compared two groups of females -- one group born during low rainfall years and the other born during normal rainfall years. In the 1970s, epidemiologists found that workers in factories using vinyl chloride (image), the key ingredient for PVC plastics, had unusually high rates of a rare form of liver cancer called hepatic angiosarcoma. Biologists later identified a mutation that appears to be associated with this cancer, which originates in cells of the blood vessels that feed the liver. Now, using new sequencing technology that enables large-scale analysis of DNA-damage-associated mutations, MIT researchers have pinpointed the specific type of DNA damage that may be responsible for this mutation. With this knowledge, scientists could develop tests to monitor workers who might be exposed to vinyl chloride, because it has been previously shown that this type of DNA damage can be detected as a biomarker in urine samples. This could alert factories that they need to improve their safety practices if their workers are being exposed to too much vinyl chloride. The research also lays the groundwork for applying this technology to identify other types of DNA damage, also called DNA lesions or adducts, that may be responsible for certain types of cancers. The initiation of many cancers may arise from the mutations generated by DNA lesions that are produced by natural processes such as inflammation, or by exposure to environmental agents such as vinyl chloride. These processes generate a variety of DNA lesions, making the identification of the most significant lesion a challenging task. “I can think of a dozen different lesions this technology could be applied to,” says John Essigmann, the William R. and Betsy P. Leitch Professor of Chemistry and a Professor of Toxicology and Biological Engineering. A research team has shown that a nanotherapeutic medicine can halt the growth of artery plaque cells resulting in the fast reduction of the inflammation that may cause a heart attack or stroke, according to a study led by researchers from Icahn School of Medicine at Mount Sinai in New York City and published online on April 3, 2015 in an open-access article in Science Advances. The article is titled “Inhibiting Macrophage Proliferation Suppresses Atherosclerotic Plaque Inflammation.” "In just one week, our novel cell proliferation-specific approach successfully suppressed atherosclerotic plaque growth and inflammation in mice engineered to mimic human vascular disease," says lead study author Jun Tang, M.S., a Ph.D. student at Icahn School of Medicine at Mount Sinai. “Atherosclerosis is a major cause of death around the globe, and our nanomedicine strategy promises to offer a new way to reduce the number of heart attacks and strokes." Building upon a recent discovery by their Massachusetts General Hospital (MGH) research collaborators that macrophage proliferation dictates atherosclerosis-related vessel wall inflammation, the Mount Sinai research team applied a nanomedicine strategy with a molecule of "good cholesterol," or high-density lipoprotein (HDL), a naturally occurring shuttle that travels from the liver to arteries. The research team took advantage of HDL's natural travel routes, loading it with the widely-used cholesterol-lowering medication called simvastatin (Zocor), which it shuttles into arterial walls. The simvastatin-loaded nanoparticles, named S-HDL, work by targeting inflamed immune cells called macrophages within high-risk arterial plaques. These macrophages become laden with cholesterol and start proliferating in plaques, thereby increasing inflammation. A test that costs less than $1 and yields results in minutes has been shown, in newly published studies, to be more sensitive and more exact than the current standard test for early-stage prostate cancer. The simple test, developed by University of Central Florida (UCF) scientist Dr. Qun "Treen" Huo, holds the promise of earlier detection of one of the deadliest cancers among men. It would also reduce the number of unnecessary and invasive biopsies stemming from the less precise PSA (prostate-specific antigen) test that is used now. "It's fantastic," said Dr. Inoel Rivera, a urologic oncologist at Florida Hospital Cancer Institute, which collaborated with Dr. Huo on the recent pilot studies. "It's a simple test. It's much better than the test we have right now, which is the PSA, and it's cost-effective." When a cancerous tumor begins to develop, the body mobilizes to produce antibodies. Dr. Huo's test detects that immune response using gold nanoparticles about 10,000 times smaller than a freckle. When a few drops of blood serum from a finger prick are mixed with the gold nanoparticles, certain cancer biomarkers cling to the surface of the tiny particles, increasing their size and causing them to clump together. Among researchers, gold nanoparticles are known for their extraordinary efficiency at absorbing and scattering light. Dr. Huo and her team at UCF's NanoScience Technology Center developed a technique known as nanoparticle-enabled dynamic light scattering assay (NanoDLSay) to measure the size of the particles by analyzing the light they throw off. That size reveals whether a patient has prostate cancer and how advanced it may be. And although it uses gold, the test is cheap. A small bottle of nanoparticles suspended in water costs about $250, and contains enough for approximately 2,500 tests.